Batelco, the leading digital solutions provider in the Kingdom of Bahrain, and Gulf Air, the Kingdom’s national carrier, have renewed their partnership agreement for a further 3-year term to provide Batelco’s Al Dana Club members and high valued customers with superior benefits. The partnership highlights the strong relationship between Batelco and Gulf Air. 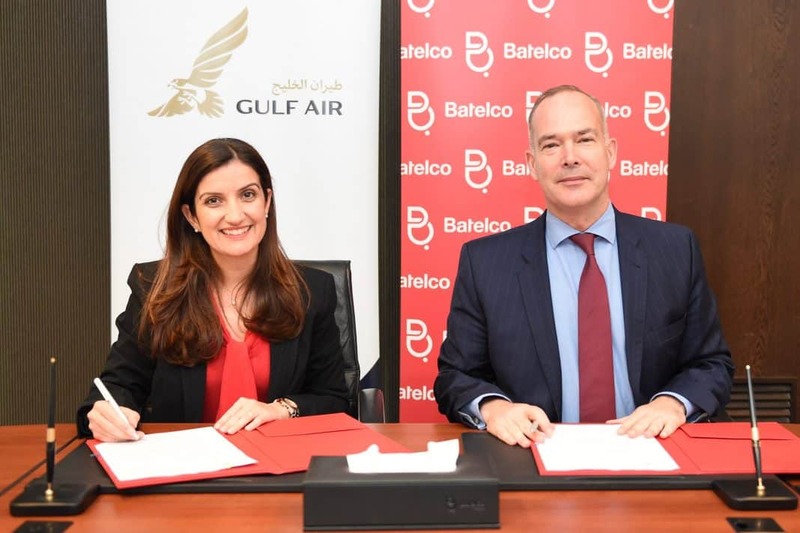 The agreement was signed by Batelco General Manager Consumer Division Maha Abdulrahman and Gulf Air Chief Commercial Officer, Vincent Coste in the presence of a number of attendees from both companies at Batelco’s HQ recently. “We are very pleased to renew our partnership with Gulf Air in order to continue to deliver superior Gulf Air privileges for our Al Dana members. It greatly supports our efforts to deliver worthwhile benefits to enhance our customers’ experience,” said Mrs. Abdulrahman.